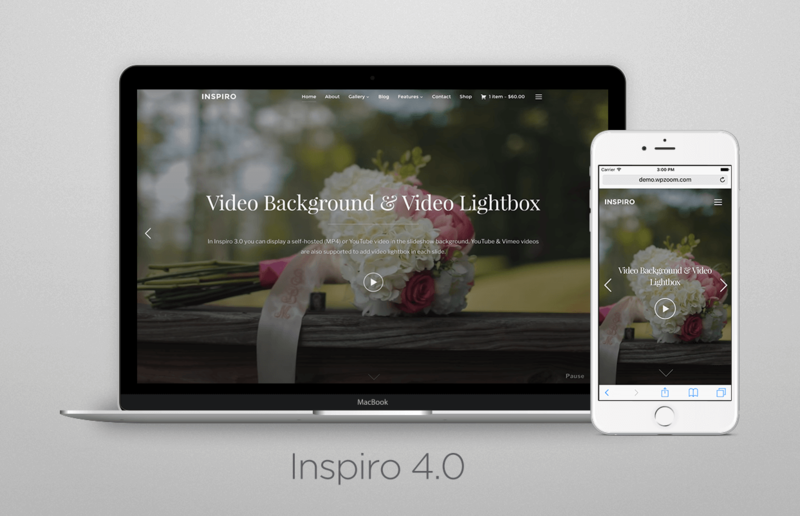 After 2 years from release, Inspiro theme continues to be one of our most popular theme. 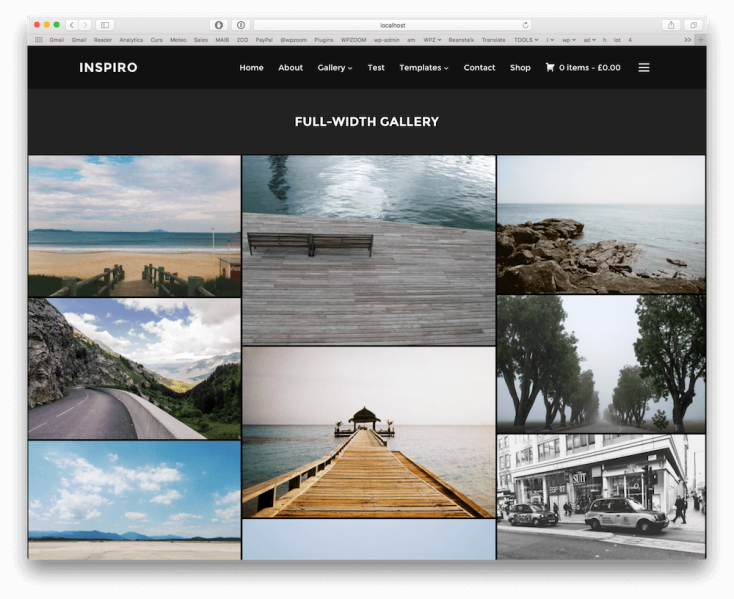 Notable photographers, filmmakers, design agencies and even big brands like Wacom have chosen Inspiro theme to create their websites or portfolios. 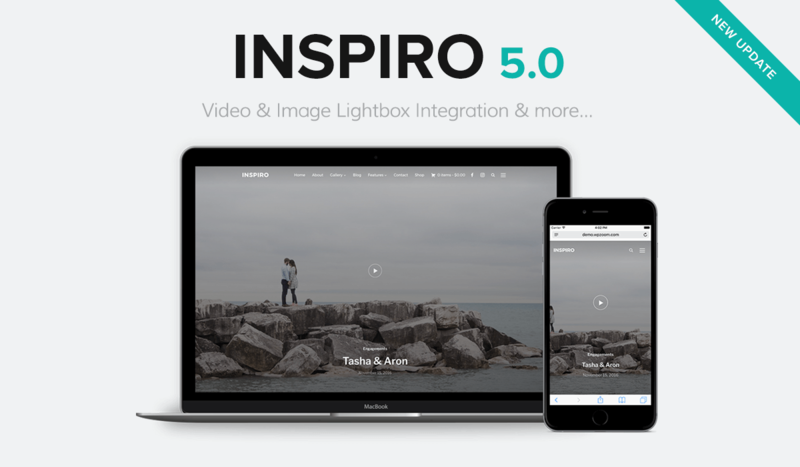 During the last 12 months we’ve released numerous updates for Inspiro theme, bringing new features and possibilities, but now it’s time to announce our most important update for this theme – Inspiro 3.0. We’ve been working on the new version for the last 3 months, and below we’ll try to highlight the most important changes. 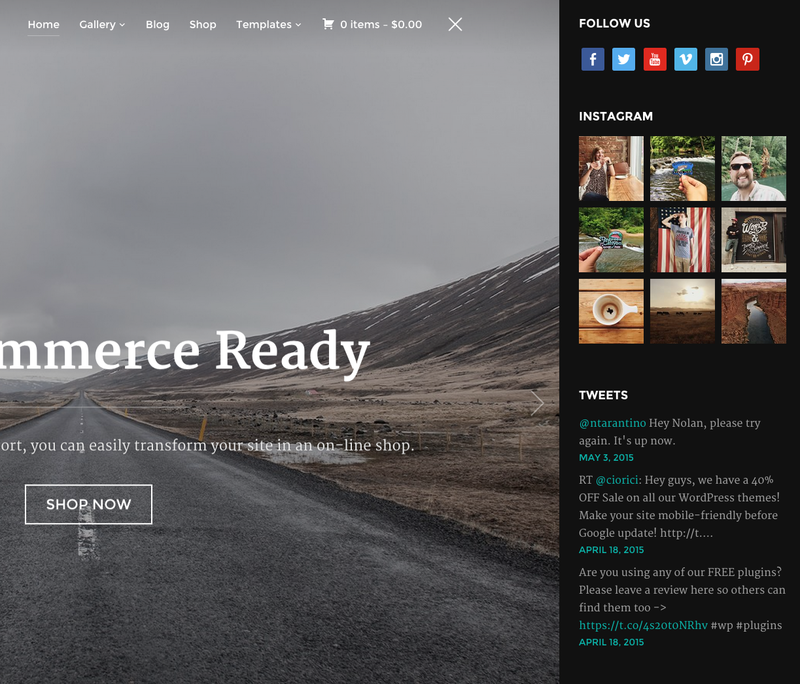 We’ve finally made it possible to customize every color and font in the theme directly from the Customizer. Thanks to the partial refresh integration, you can see instantly all the changes you make. Starting with the new version the Homepage Slideshow supports YouTube video backgrounds. Just enter the URL of a YouTube video in one of the slide and the theme will do the rest. 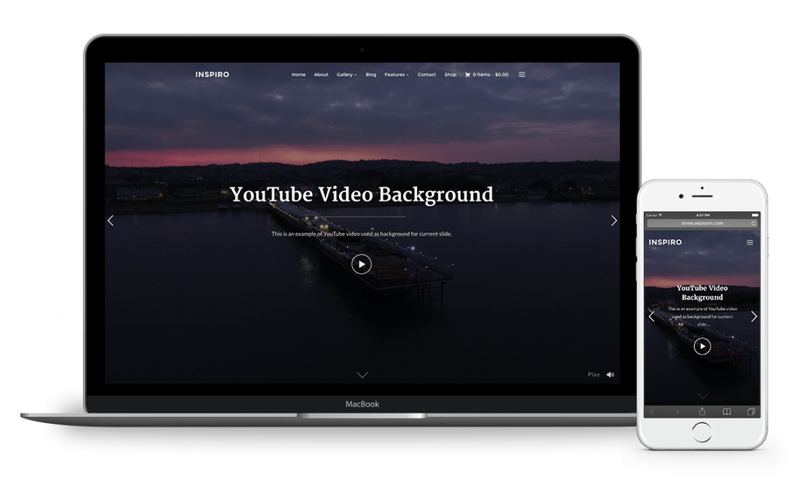 After multiple demands from our customers, we’ve integrated a beautiful video lightbox in the homepage slideshow, in which you can feature YouTube or Vimeo videos. Another minor, but helpful addition in the new version, are the controls for the video background. 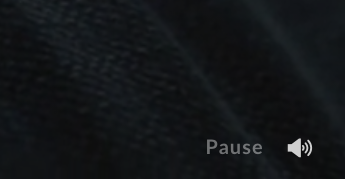 In the bottom right corner of slideshow you can find a Play/Pause and Mute/Unmute controls for video playing in the background. 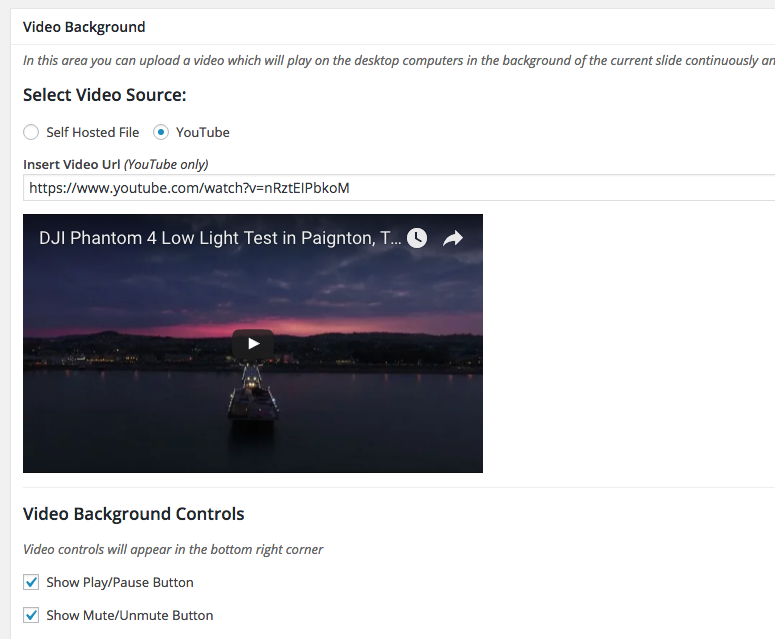 We’ve also added new controls for the slideshow, like hiding the navigation arrows or slideshow text, which can help you to convert the theme in a fullscreen video playing with sound, with no distractions. Hi I want to use this theme for my technology blog tech talk. Does it facilitate gradual loading of images and videos after text loads in the website, when a visitor from a slow network visits the site.